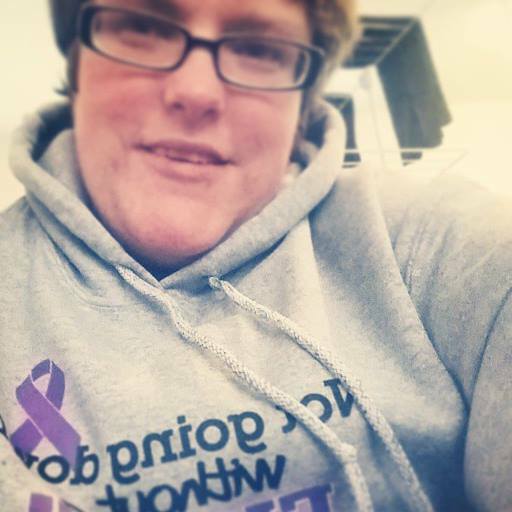 Me wearing a sweater designed to raise money for a friend with Chrons Disease. Hi, I’m Jackie. I used to live independently with help from carers/sidekicks, but I now live in a nursing home run by a national UK charity, and have done so now for a full year. I blog once every week at present (usually Monday) about the everyday realities of living a full God-given life with chronic illness and physical disability, I write a lot about disability news or general news related events, as well as writing about my personal experiences. I once wrote a piece explaining cerebral palsy, using a wonderful infographic I found, and I have written about ‘Dave,’ The Welfare State, and benefits cuts, and my thoughts on a comment made by GP Philip Pemberley, about how the majority of disabled people can work, if Stephen Hawking can. In my opinion, this was entirely short-sighted about the realities of life with complex multiple impairments which impact negatively on each other, combined with the side-effects of several heavy medications, and for the most-part, being unable to go out alone . My response received over 300 views the day it was published and caused quite a lot of fuss on social networking at the time. Certainly my most read post so far! Do feel free to leave comments on what you think about my blog, If you love what you read, have comments to make on what you have read or you think there could be changes made to improve layout or content. You have lifted my spirits and I will be following you. Hi Jackie! What a blessing to meet an inspiring, loving and encouraging Sister in Christ!